For many pool owners, weekly service visits from a trusted, licensed pool service company are a commonplace occurrence. But besides the noticeable result of the pool being cleaner, what else is happening when your service technician comes by? 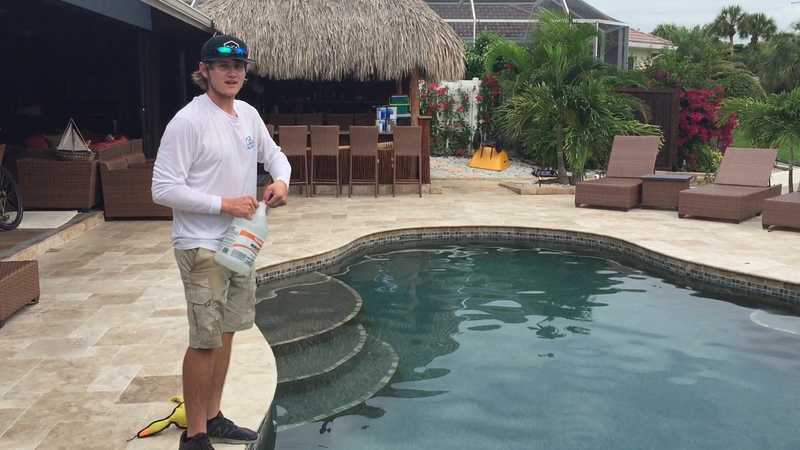 And what does a day in the life of a “pool guy” look like? 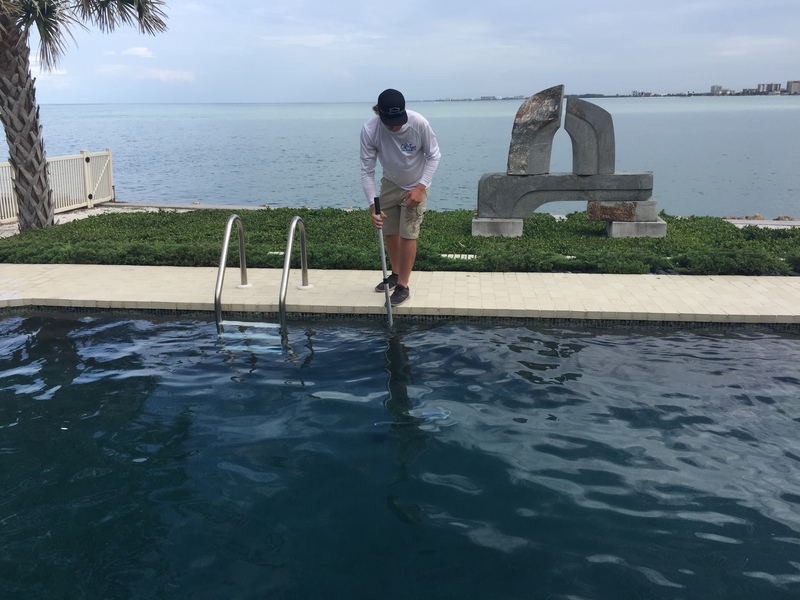 We caught up with Cody Smith, Service Manager for On-Time Pool Service, Inc., to get insight into what service technicians are looking for and what they offer for the maintenance of your pool so you enjoy many years of relaxation. Working for a pool company is rewarding work, plus the views aren’t bad either! The remaining cleaning steps can be tedious, but are a necessity for a clean pool. Depending on the previous week’s weather, how many people have used the pool, and the location, there can be a lot of work to get the pool looking its best. “A pool like this that is uncovered and has a lot of people in it every week will usually get dirtier,” Cody explains. Skimming removes debris off the surface of the water. Anything under water that is too big for the vacuum needs to be removed as well. Cody recommends that pool owners all have a skimmer net so they can remove objects in between scheduled service appointments. If you’re worried about falling in the pool, vacuuming is the step that might cause that. “I’ve fallen in a few times!” laughs Cody. 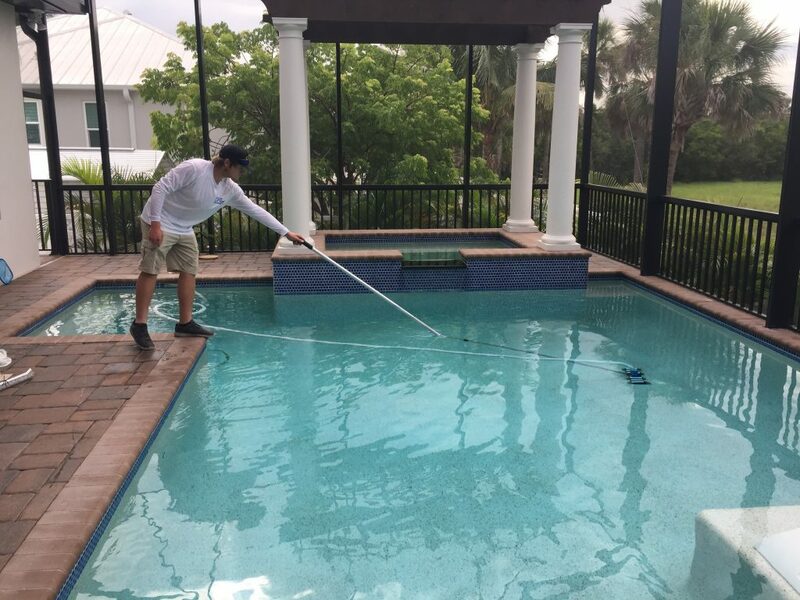 “When you start to get comfortable around a pool that’s when it happens.” He makes sure to vacuum from all sides of the pool to ensure a complete clean across the pool floor. 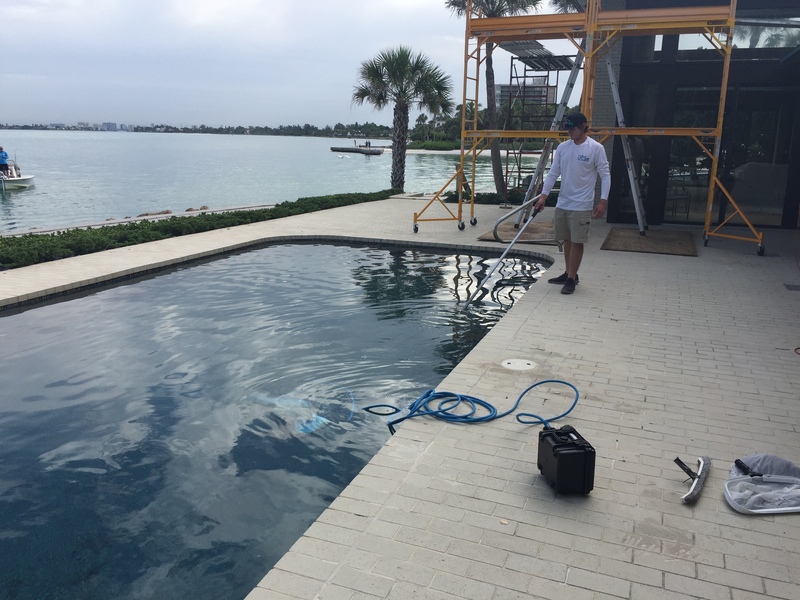 Brushing the pool sides will help any creeping algae formations to be forced into the water and removed, as well as prevent staining. 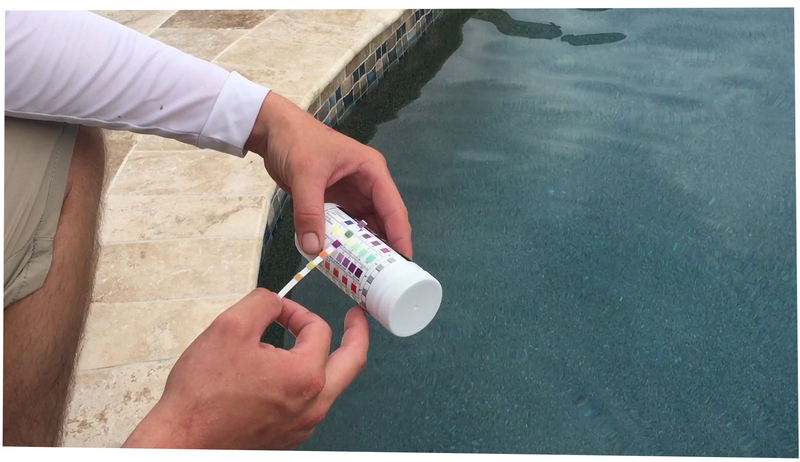 “Brushing is a very important and often overlooked aspect of pool cleaning,” Cody says. You may also need to have your filter cleaned. Filters are removed and hosed off to keep the filtration system—and your pool water—in the best shape. 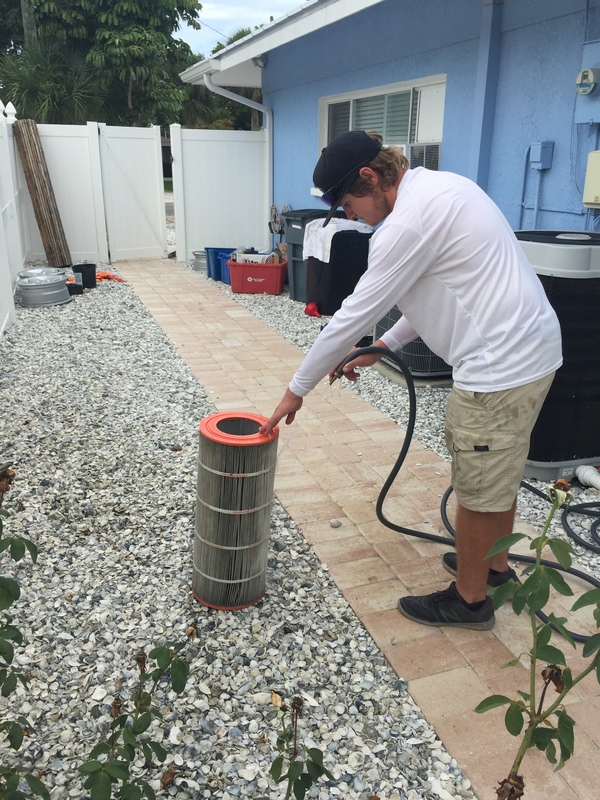 Cody cleans a pool filter. For most people, keeping a pool serviced themselves is simply not possible to fit into the busy day or perhaps not realistic to complete because of limited mobility. Never fear! 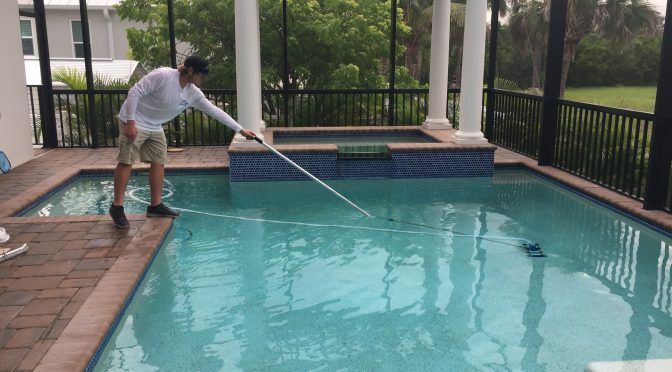 With the help of a Florida pool company, your pool can looks its best and you don’t have to worry about maintenance details falling through the cracks. 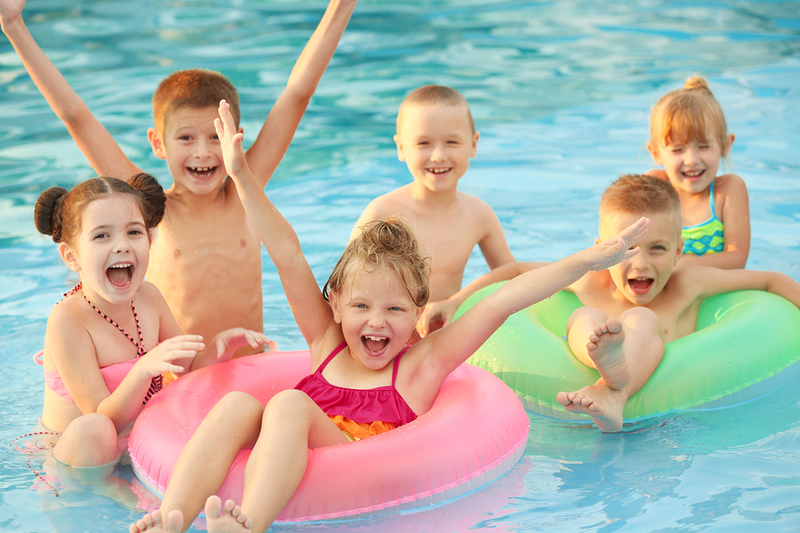 Companies like On-Time Pool Service provide a wide range of service packages to fit everyone’s needs. Visit our website floridapoolpro.com or call 941-952-9293 to find a pool company near you. Don’t have a pool yet? 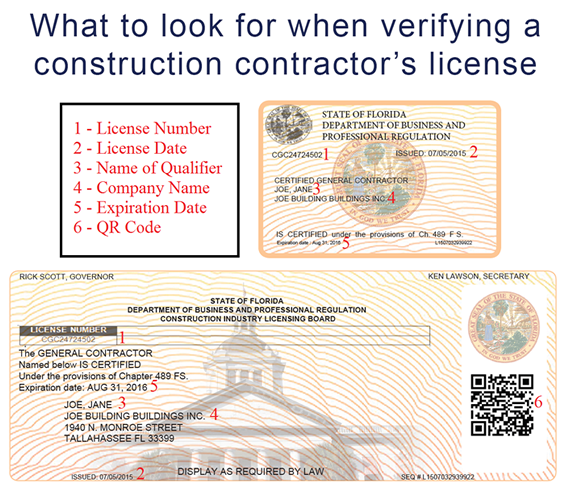 Contact us to find a reliable, licensed contractor in your area! Previous PostLearning is a Lifelong ProcessNext PostUnlicensed Activity: How do we stop it?